The Centre for Active Transportation (TCAT) uses a revised version of the US National Complete Streets Coalition’s Policy Measurement Tool to assess the prevalence and strength of Complete Streets language in Canada’s Official Plans and related document. 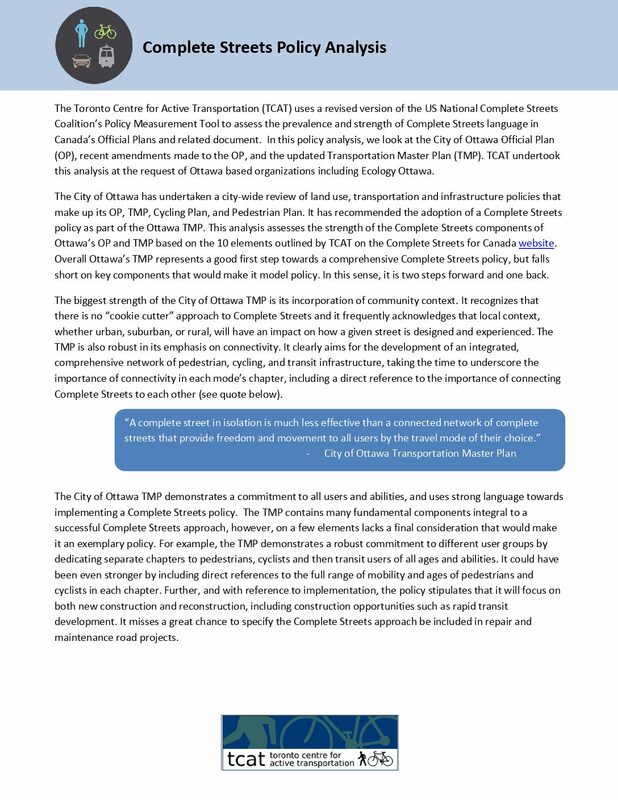 In this policy analysis, we look at the City of Ottawa Official Plan (OP), recent amendments made to the OP, and the updated Transportation Master Plan (TMP). TCAT undertook this analysis, released in April 2014, at the request of Ottawa based organizations including Ecology Ottawa.